The defendant may have had an illegal drug in his possession and was observed by police selling those drugs. The defendant may not have been observed actually selling drugs but could have been detained with an amount of drugs believed to be too great to be for personal use — in this case, prosecution for the crime of possession with intent is based solely on quantity. Social distribution of illegal drugs could occur when the defendant brought a larger quantity of drugs to a party and shared with others. Should you find yourself being arrested and charged with possession of drugs with the intent to deliver them, it is important for you to seek legal help. 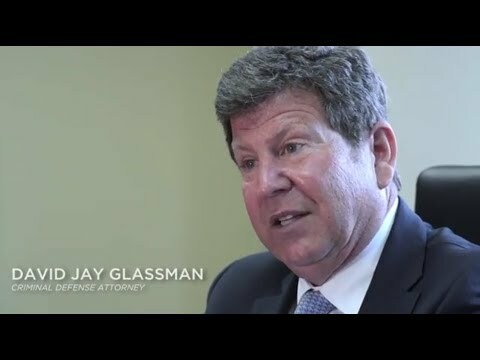 The Law Office of David Jay Glassman has experience defending state and federal drug trafficking charges. We do the groundwork to eliminate or minimize the consequences of those charges. Drug crimes can be challenging both to prove and defend. The police often stop at nothing to get an arrest — they may use entrapment, illegal surveillance, or otherwise act unlawfully and without regard to your constitutional rights. If false evidence was planted, an illegal search and seizure was committed or your rights were violated in other ways, the drug possession with intent attorneys at the Law Office of David Jay Glassman will gather the necessary evidence and fight to get the charges against you lowered or dismissed. We use our skill and experience to build a strong defense on your behalf. Unfortunately, you need not even be caught in the act of selling drugs — you may be convicted simply on the basis of “clues” that you might have been selling drugs. An experienced criminal defense attorney understands that relatively little evidence can lead to charges of possession with intent and could even lead to a conviction. Our drug crimes lawyer will work aggressively to refute the prosecution’s “expert” testimony regarding the likelihood that you were selling drugs. Don’t leave your future to chance: Call our dependable criminal defense attorney at the Law Office of David Jay Glassman today for a thorough evaluation of your drug case. From our offices in Marlton, New Brunswick, Hackensack and Newark, our legal team handles cases throughout New Jersey. Call us at 866-221-1270 or contact us online for your free case evaluation.